With the latest release of Pure Service Orchestrator, we added support for a non-Helm installation for environments that do not allow Helm. This new method uses an Operator to setup and install PSO. The result is the same exact functionality but uses a security model more agreeable to some K8s distro vendors. I do live demos of PSO a handful of times a day. Even though I use Terraform and Ansible to automate the creation of my lab K8s clusters I don’t want to do this many times a day. I usually just tear down PSO and leave my cluster ready for the next demo. Removing the CRD and the Namespace created when installing the Operator has a couple of issues. One small issue is the Operator method creates a new namespace “pso-operator”. This is the default name, and you can choose your own namespace name during install time. I often choose “pso” for simplicity. As we have discovered, deleting a namespace that had a CRD installed into hangs in the status “Terminating”, for like, forever. FOR-EV-ER. This seems to be an issue dating back quite a ways in K8s land. From a couple of GitHub issues and the help of Simon “I don’t do the twitter” Dodsley This is the process for deleting the CRD first and the Namespace. This method keeps the namespace form hanging in the state “Terminating”. # If you haven't don't it already don't delete the namespace yet. If you sort of ignored my warning above and tried to remove the namespace BEFORE successfully removing the CRD follow the following procedure. What’s New in Pure Service Orchestrator? PSO Operator is now the preferred install method for PSO on OpenShift 3.11 and higher versions. The PSO Operator packages and deploys the Pure Service Orchestrator (PSO) on OpenShift for dynamic provisioning of persistent volumes on FlashArrays and FlashBlades. The minimum supported version is OpenShift 3.11. This Operator is created as a Custom Resource Definition from the pure-k8s-plugin Helm chart using the Operator-SDK. This installation process does not require Helm installation. Added flasharray.iSCSILoginTimeout parameter with default value of 20sec. Added flasharray.iSCSIAllowedCIDR parameter to list CIDR blocks allowed as iSCSI targets. The default value allows all addresses. flexPath config parameter location in values.yaml has been moved from version 2.2.1 from under orchestrator field. Upgrading from version earlier than 2.3.0, needs change to values.yaml to use the new location of flexPath for PSO to work. The Operator is a big change for the install process. We are not leaving or abandoning Helm. I love Helm. Really. This was for our customers that do not allow Helm to run in their environments. Mainly the Tiller pod ran with more permissions than many security teams were comfortable with. Tillerless Helm is coming if you are worried now. The Operator will be the peferred method for RedHat OpenShift 3.11 and higher. Last but not least, the iSCSIAllowedCIDR limits the iSCSI targets PSO will have the worker node log into during the Persistent Volume mount process. This is important to environments that may serve many different clusters with their own iSCSI networks. The iSCSI interfaces on a FlashArray can be divided with VLANS, but with this the traditional way to acquire target ip’s results in a long list of addresses to attempt to login. The iSCSIAllowedCIDR setting helps PSO know what subnet your cluster should try to mount and log into. The result is faster mounting and less noise around timeouts for networks your cluster might not be able to reach. 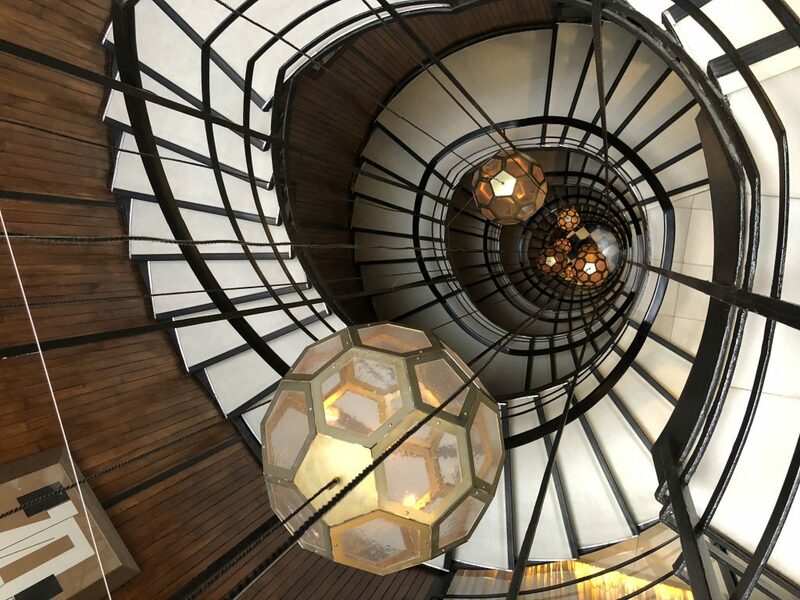 Posted byJon Owings April 18, 2019 Posted inPure Service OrchestratorTags: helm, kubernetes, openshift, operators, pure service orchestratorLeave a comment on What’s New in Pure Service Orchestrator? I think I have updated my blog post and PSO guide to reflect this change. In case you are using Pure Service Orchestrator with FlashBlade. The original yaml for the arrays when installing PSO was “NfsEndPoint”. At somepoint, it was fixed to expect “NFSEndPoint” matching the proper name for NFS. I never updated my blog and docs until now. November 2018 was my the finish of my 5th year at Pure. I really meant to write up a recap but let’s just say November and December were super busy. 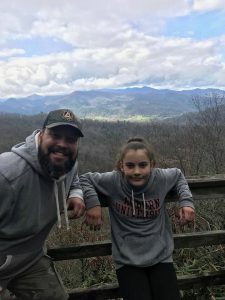 I was in Barcelona for VMworld EMEA the beginning of November, then came home to visit more customers around the US and tell them about using PSO with Kubernetes and Docker. 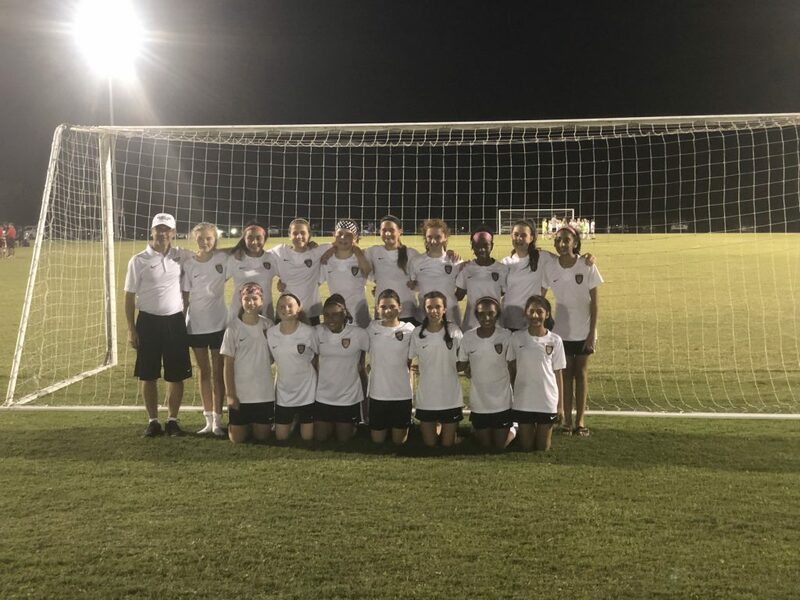 Then my amazing oldest daughter had a soccer tournament in Orlando, FL. 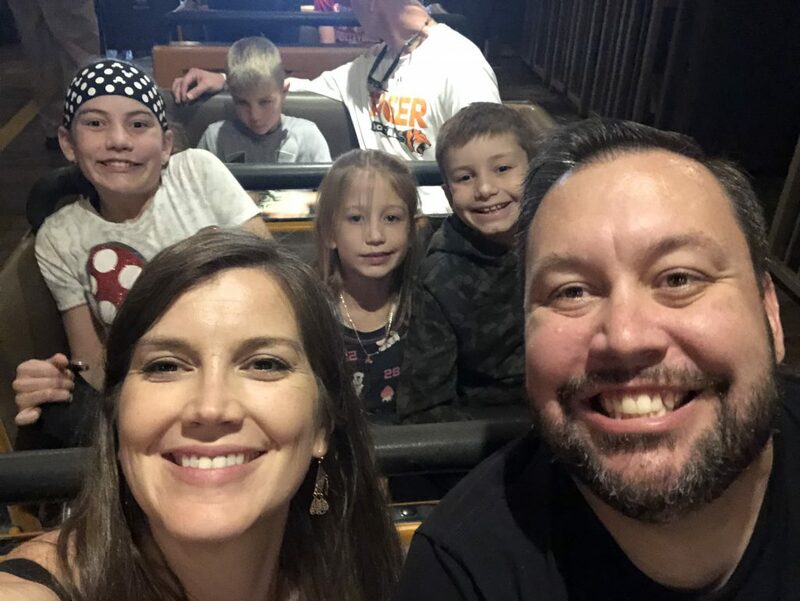 It was a great time with the family and why I do what I do. Post Tournament Team pic. Go AFU U13 Girls. Then back out to AWS re:Invent. This was Pure’s first big presence since we launched our suite of cloud data services the week before. It was great to share what we have been working on in the background for the last year. Cloud Block Store, CloudSnap and StorReduce have definitely increased the interest in doing a hybrid cloud, many current and prospective customers are very excited. I came home to take a breather and then off to KubeCon Seattle where our team was overwhelmed with conversations about how Pure can make Cloud Native apps persistent with easy Storage as a Service with Pure Service Orchestrator. Being able to run the same API’s in the Public Cloud and on prem is very appealing to teams rolling out apps in all kinds of use cases. Dev in the cloud and prod on prem? yes. Dev on prem and prod in the cloud? yes. Dev and Prod in the cloud? you guessed it. yes. January was about building out some content for our sales and company kickoff but also helping customers with their projects on K8s and Docker. That brings me to yet another Kickoff. What I call the Orangest show on Earth. A chance for me to see so many great friends and see how successful their last year was. It was very satisfying to see sales reps and SE’s that I worked with throughout the year get recognized for growth they brought to the company. It was very nice to be recognized by my leadership and peers with an award. When you work with such a wide range of regions and teams sometimes gets hard to see if you are making a difference, especially when you are remote like I am. At the beginning of 2018, almost no one at Pure knew what I was working on. Slowly but surely the excitement around K8s is growing, so I am looking forward to an even more exciting year here at Pure. Kingsman jackets for the team. So much orange and such a great team. Share more on the blog. The transition from VMware(I still do VMware stuff!) to Kubernetes has provided many learning opportunities for me to share. Work on Clusters as Cattle with Persistent data. Data is important and the app/cluster can or should move around it. Seamlessly. Finish some cloud/dev online classes I have started. Finding time with no distractions is key here. 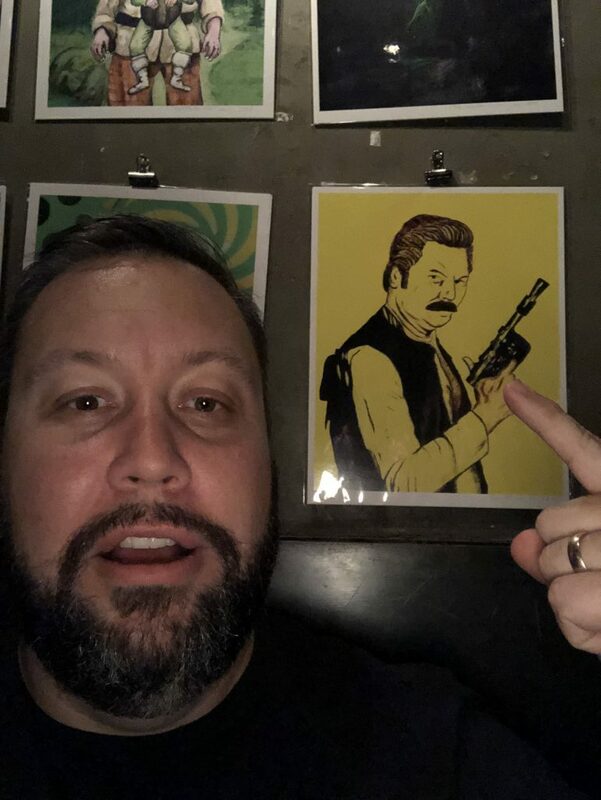 In Seattle, Pizza and Star Wars / Ron Swanson art? YES! You may want to make this full screen to see all the CLI glory. What you will see in this demo is the initial install of Pure Service Orchestrator on a upstream version of Kubernetes. Then by running the ‘helm upgrade’ command I can add a FlashArray to scale the environment and take advantage of Smart Provisioning. First we see the new m50 is not used over the original m70. So the final upgrade adds labels for the failure domain or availability zone in Kubernetes. I also add my FlashBlade to enable block and file if needed for my workload. We use the sample application with node and storage selectors to now request the app use compute and storage in a particular AZ. Kubernetes will only schedule the compute on matching nodes and PSO will provision storage on matching storage arrays. I would love to hear what you think of this and any other ways I can show this off to enable cloud native applications. 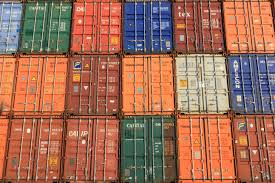 I am always looking for good examples of containerized apps that need persistent storage. Hit me up on the twitters @jon_2vcps or submit a comment below. 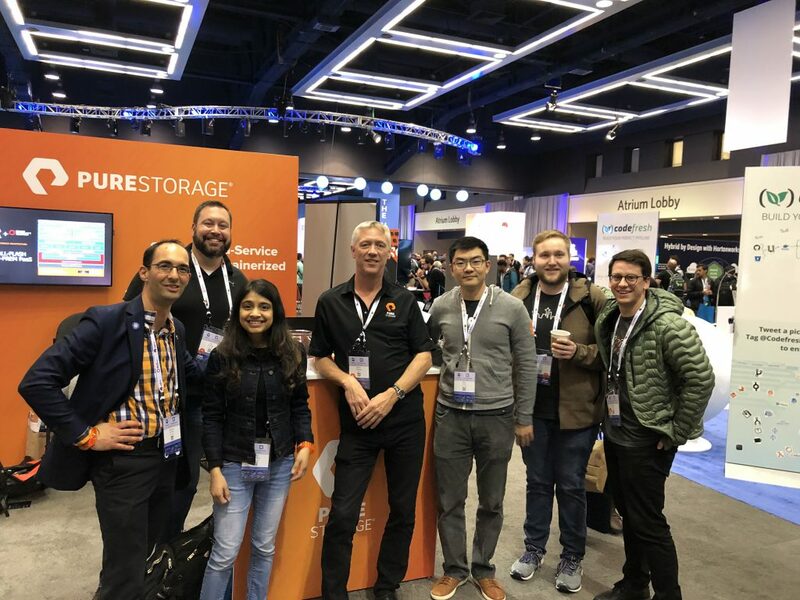 I will be at the Pure Storage booth at Kubecon next week December 11-13. Booth G7. Come see us to learn about Pure Service Orchestrator and Cloud Block Store for AWS. Find out How our customers are leveraging K8s to transform their applications and Pure Storage for their persistent storage needs. 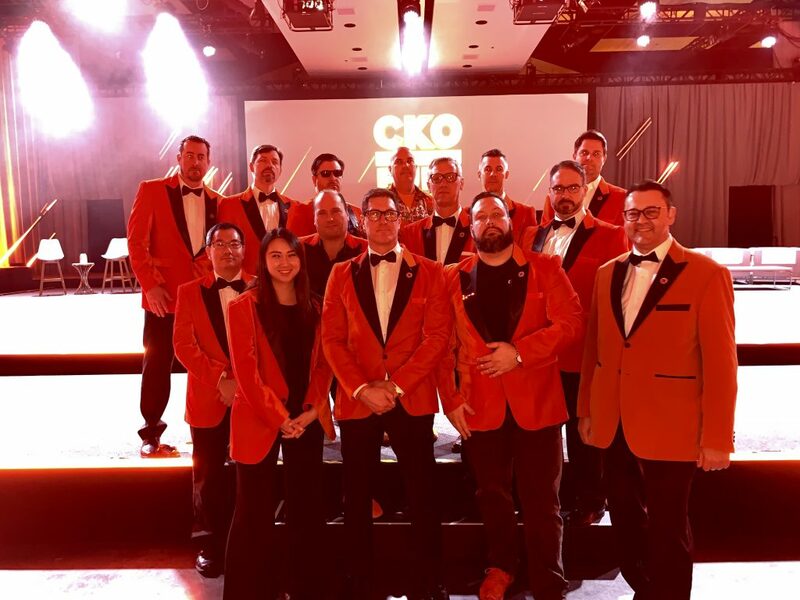 It has been a fun (nearly 2 years) time at Pure working with our customers that already love Pure Storage for things like Oracle, SQL and VMware as they move into the world of K8s and Containers. Also helping customers that never used Pure before move from complicated or underperforming solutions for persistent storage to FlashArray or FlashBlade. With Cloud Block Store entering beta and GA later next year even more customers will want to see how to automate storage persistence on premises, in the public cloud or in a hybrid model. All of that to say if you are an architect looking to grow on our team please find me at Kubecon. I want meet you and learn why you love cloud, containers, Kubernetes and automating all the things in-between. Stop me in the hall between sessions. Over the last few months I have been compiling information that I have used to help customers when it comes to PSO. Using Helm and PSO is very simple, but with so many different ways to setup K8s right now it can require a broad knowledge of how plugins work. I will add new samples and work arounds to this Github repo as I come across them. For now enjoy. I have the paths for volume plugins for Kubespray, Kubeadm, Openshift and Rancher version of Kubernetes. Plus some quota samples and even some PSO FlashArray Snapshot and clone examples. 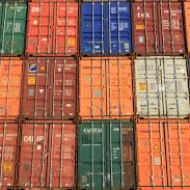 A nice picture of some containers because it annoys some people, that makes me think it is funny. All of the scripts and instructions are available here on my github repo. Coming up next is some work around kubespray and terraform. I played around with some of the settings from the K8s documentation for quotas and limits. I uploaded these into my gists on GitHub. This allows users in that namespace to be limitted to a certain number of Persistent Volume Claims (PVC) and/or total requested storage. Both can be useful in scenarios where you don’t want someone to create 10,000 1Gi volumes on an array or create one giant 100Ti volume. Credit to dilbert.com When I searched for quotas on the internet this made me laugh. I work with salespeople a lot. I was going to write my own post, but Cody Hosterman already did a great one. The sessions are filling up so it will be a good idea to register and get there early. I am very excited about talking about Kubernetes on vSphere. It will follow my journey of learning containers and Kubernetes over the last 2 years or so. Hope everyone learns something. Last year, here I am talking about containers in front of a container. Boom! 2vcps and a Truck, Proudly powered by WordPress.